PS. Sorry there are no biscuits! I picked up a few of these packet soups from ASDA’s world foods section. 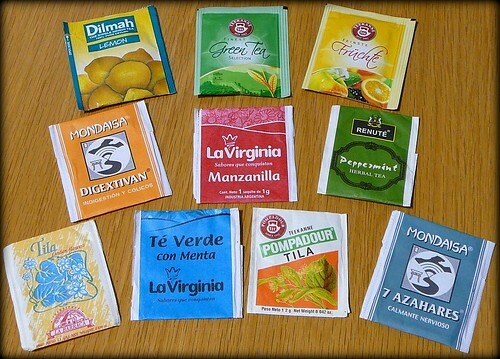 I think I mentioned before how I like to try the stuff that is being offered to our EU migrant population. 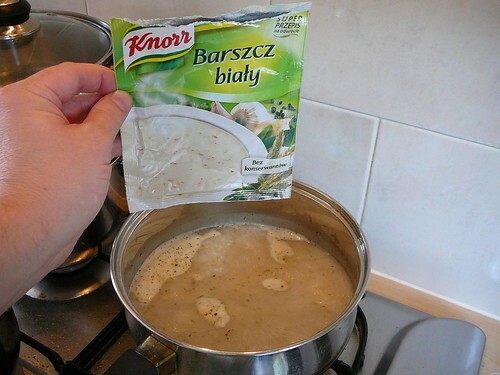 In this case they are Polish soups, stll made by Knorr, which is a familiar name at least. The handy little sticker on the back gives a translation of the ingredients into English. This is probably a basic legal requirement of being sold here. A translation of the name and soup description would also have been nice, but I suppose its really aimed at those that can read Polish. The soup was interesting, very fresh and zingy, not overly garlicky. It was full of flavour but, had I not know what it was, I would have been hard pressed to identify white Beetroot. Oh yes, and at 180 calories for the whole lot, it was certainly filling yet easy on the waistline! 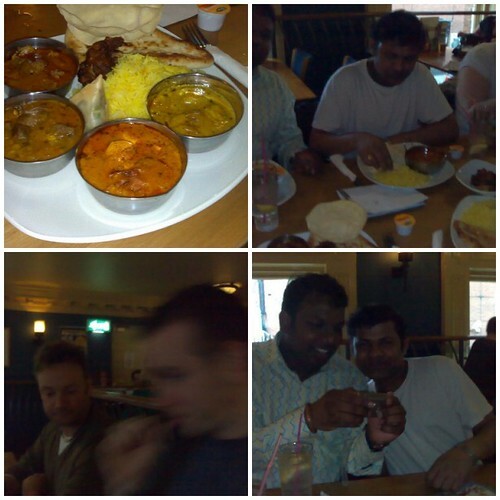 Last night we ate out, for it was Thursday, which means Curry Club! You’ll have to excuse the picture quality, I realised this morning that I left the camera on “close up” for all of them. So only the actual close up of the food is of a reasonable clarity. The 2 NRI’s proclaimed the curry to be of a passing standard. The mango chutney however, caused wrinkled noses and was discarded after the first tasting. Top left, food. Top right, Satya between Luke and Lisa, the mosiac maker was pretty cruel in cropping them out of the frame. Bottom left, Paul and a blurry Nick. Bottom right, Luke and Satya admiring Luke’s wonderful photos that are no doubt much better than these, if only for being in focus! 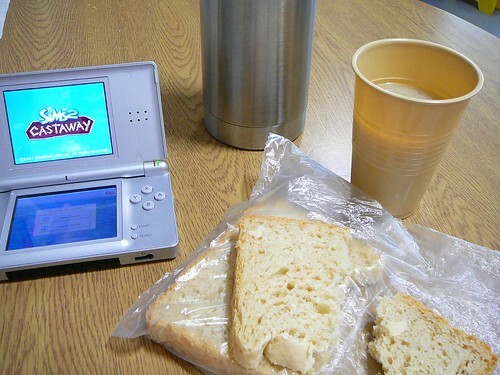 Today, I thought I’d share with you my working lunch arrangements. Until a few months ago we couldnt eat hot food on our “shop floor.” Now this rule hase been relaxed and the place often stinks of McDonalds burgers and fries. Not the most pleasant smell but some people seem to like it. In true “cant beat ’em join ’em” style I’ve also taken to having my own hot food. This is usually soup in a flask, though sometimes I’ll take a leftover portion of a pie or other dinner and bung it in the microwave. 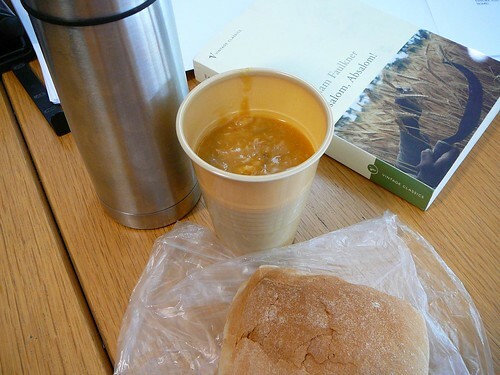 In the photo above, lunch is a tin of Heinz Lentil soup, to which I’ve added a flaked fillet of flaked Mackerel. Paul takes a bowl to put his soup into, I prefer to use a cup and drink it rather than spoon it in. Apart from it staying hotter longer and being quicker to consume, there is also less chance of working the rest of the day with splashes on the front of my shirt! There is too much on there to name it all, I cant even remember what most of it was! 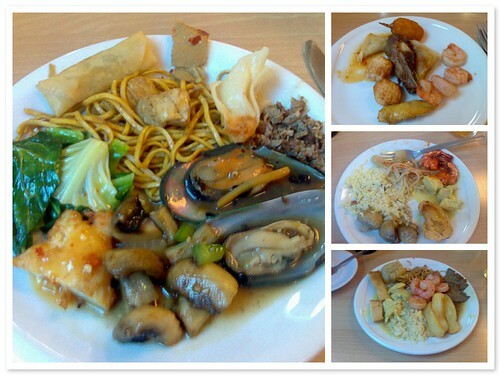 What I can remember is that, plentiful chinese food + a cold lager = delicious. If you’ve been here before you’ll have already seen the Royal Tali that I have already enjoyed at Curry Club. I’m not one to stick to the same thing every time, in fact given enough visits I like to try everything on a menu. The last time we went I orderd the Malaysian Beef Rendang and was totally disappointed to find that it wasnt available that evening. The sauce was excellent, the beef a little overcooked but overall an excellent value for money meal. 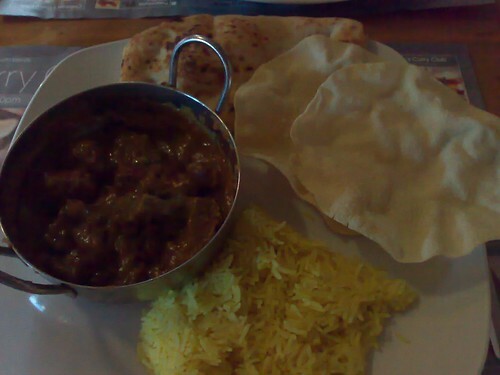 You wont find a meal like this for £5.59 in many places, espacially when you remember that it comes with a pint . 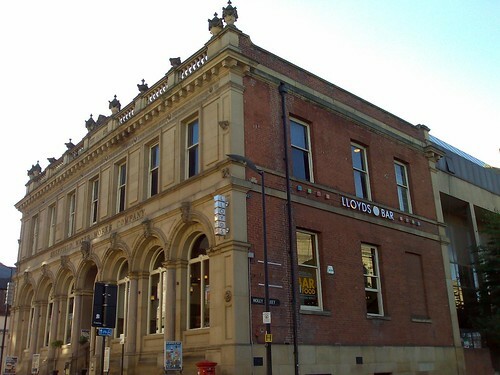 The former Sheffield Water Works company.